Since the dawn on man, blokes have pretty much wanted to have a go at being on the other side of the Take Me Out set-up. And now they’re getting it. The staple ITV show will celebrate its tenth series this week and has truly pulled out the stops in terms of content. For those who haven’t seen Take Me Out, 30 girls behind buzzers, or lights, chat with and get to know a series of male contestants looking for love – or just a date on the Isle of Fernandoooooooooooooooooooooooo’s. If they aren’t too keen on the guys, the girls can turn off their lights. Most of the time, the lads find someone generous enough to spend a few days with them on a beach. On other occasions, punters have received a total blackout. 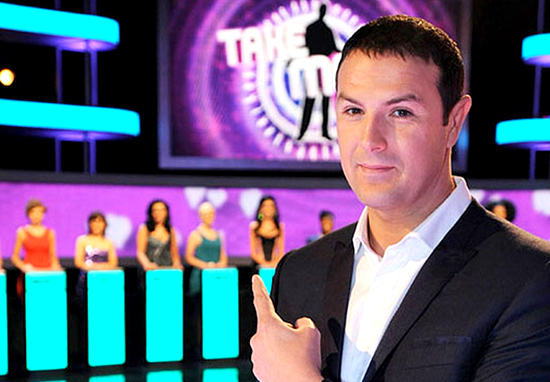 The question, ‘Why not have men judge the women?’ has been brushed off by Paddy McGuinness more than once for it being a stupid idea given that men aren’t picky and would happily go to the boneyard with a mop if it meant scoring. But I guess the producers have crumbled under the pressure, much to the delight of fans. Why not 30 boys, you ask? Well… we listened and have decided to bring back 30 of Paddy’s favourite boys next Saturday to celebrate 10 series of #TakeMeOut. Lights out, all out! We’ll see you next week when bring 20 boys into the mix. tune in next Saturday at 6pm. The one-off will be enlisting contestants from the show’s alumni. You can catch it on Saturday February 24 at 6pm on ITV.